You can check it all out for yourself at www.captjackspiratehats.com. The hats won’t be sold there, though. 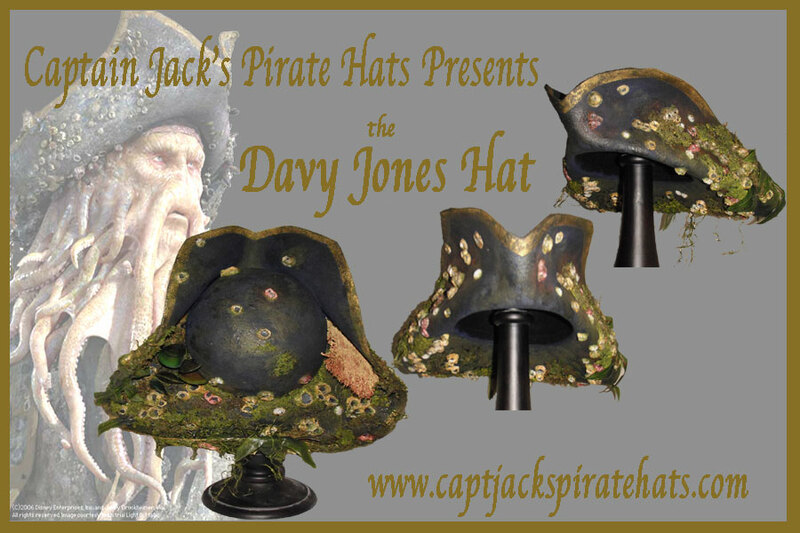 Due to the limited production, Jack only plans to make them available through ebay, so get ready to bid! 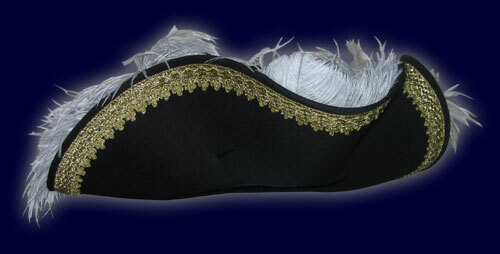 The debate is never ending: Who’s better, pirates or ninjas? 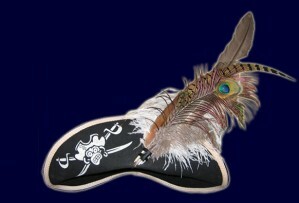 Obviously I fall wholeheartedly into the pirate camp, and the reasons are many. I won’t bore you with the full list, but one of the key points is that as pirates, we get to customize our look to fit our own personal prefences. 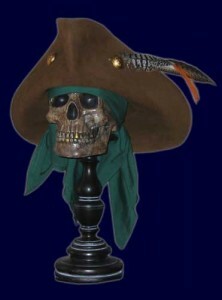 Where ninjas wear black pajamas, pirates can choose from a multitude of colors and styles with regards to their wardrobe. In this respect, Captain Jack’s Pirate Hats has been a longtime friend of pirates everywhere with their wide assortment of pirate hats in many cuts and styles, and in a seemingly endless variety of colors. 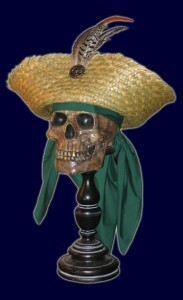 Until recently, quality pirate hats seemed to come in only two styles – the stylish working class pirate, and that of the pirate king. Capain Jack’s, who has handily redifined the market for the working class hat, has now gone one step better and created a third style – the pirate tradesman, perhaps? 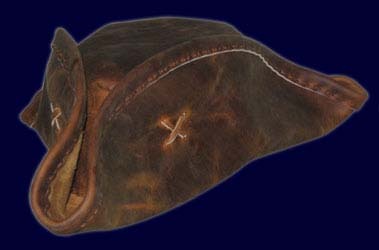 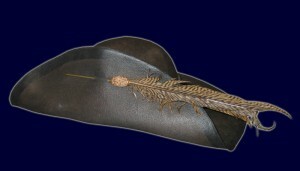 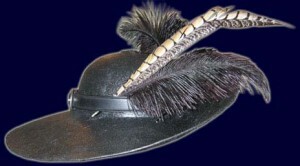 Jack refers to it as his “18th Century Cocked Hat” series – quality cashmere hats with fine metal buttons, softer and in a wider range of colors than his original series. 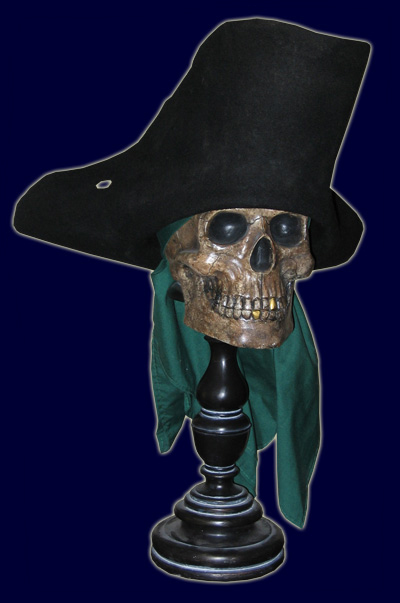 And where his original series of hats is perfect for the rough’n’tumble variety of pirate, these new 18th century hats would seem the ideal choice for the slightly more educated scalliwagg – the navigators and surgeons, for instance. A pirate needs a hat.